Using the international leading high-throughput sequencing platform and bioinformatics analysis, NIFTY is able to analyse the risk ratio of trisomy 21 (Down syndrome), trisomy 18 (Edward syndrome), trisomy 13 (Patau syndrome) , and other chromosomal aneuploidy by extracting free DNA from maternal blood. 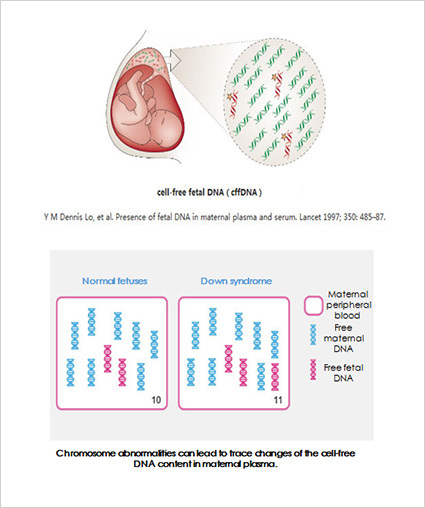 cffDNA can first be detected as early as 4 weeks of pregnancy, and the content of cffDNA increases and keeps stable after 8 weeks (fetoplacental circulation can be found with 7 weeks). cffDNA is fragmented with 75-250bp in length，with a mean length of 166 bp. Research has shown that humans carry an average of 2.8 recessive mutations per person.When two copies of the same mutation are inherited, it can cause a 25% risk witheach pregnancy of having a child affected by the disorder. 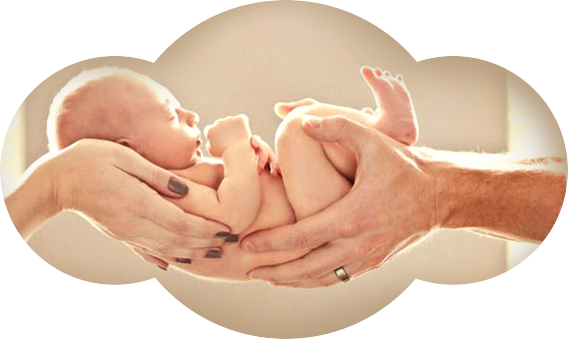 Because of the normal phenotype of implicit genetic disease carriers, routine prenatal examination often can not be detected, pathogenic mutations from generation to generation, until the parents give birth to children with disease are found. 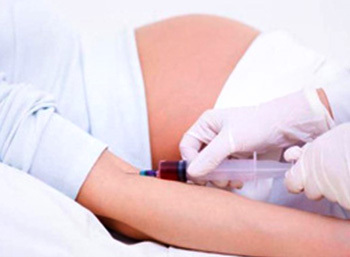 In the pre-pregnancy or early pregnancy to carry out screening, the birth defects in advance prevention ,and thus can fundamentally block the inheritance of single gene disease. Among all the diseases, chronic diseases are one of the major threats to the health of our country. According to statistics, there are 270 million chronic diseases in China in 2008, and this number is growing at an annual rate of 16 million cases. The number of deaths from chronic diseases is as high as 6.43 million, and among them， malignancies, cerebrovascular disease, and heart disease account for the major part. Detection of content： 31 kinds of common chronic diseases. By adopting the new generation of high-throughput sequencing platform, the international leading of circulating single-molecule amplification and resequencing technology (cSMART), and target sequence capture combined with high-throughput sequencing technology, tumor whole-genome testing (also known as molecular diagnosis of tumor) can detect 343 kinds of genes associated with solid tumors and 414 blood system-related tumor genes at one time. Genetic testing for tumors individualized medication, specifically for cancer patients, is a one-time accurate testing of the exogenous sub-region of 559 kinds of tumor-related genes by cancer tissue samples or peripheral blood samples with using a new generation of high-throughput sequencing platform. 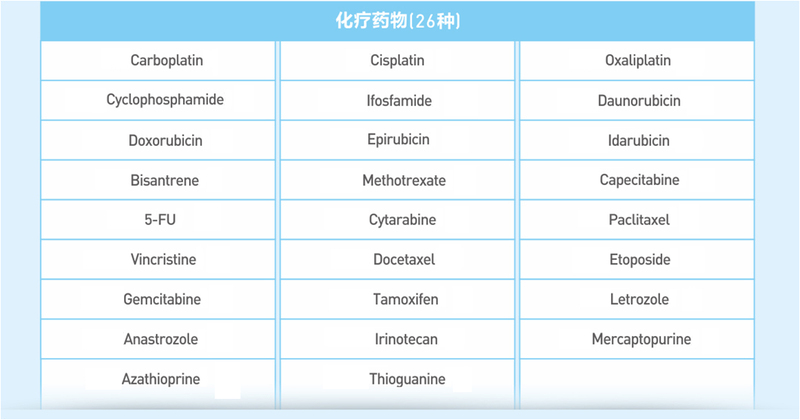 Hence, it can interpret the relationship between 75 kinds of tumor drugs and genes comprehensively and accurately, and learn more about tumor patients with specific genetic variation, thus to provide patients with more options for drug programs and, ultimately, to help doctors develop a better treatment program.